ARCATA, CA. — Former San Francisco 49ers quarterback, Jeff Garcia, has been named the keynote speaker at the 2015 Humboldt State Celebrity Dinner Sports Auction to be held on Saturday, March 28, 2015 in Lumberjack Arena. Previous guest speakers have included Tim Brown, Rick Barry, Jim Harbaugh, Misty May, Joe Frazier and Steve Young. Tickets are $100 where the funds raised at the event go toward scholarships for student-athletes. Last year the event raised more than $251,000. Source: Time-Standards.com. Jeff Garcia speaking to the University of Saskatchewan Dogs at their annual breakfast in May 2012. “It will be great to be in the Lumberjack Arena for the event, because it allows us to have plenty of room for all aspects of the auction,” said Associate Athletic Director Tom Trepiak. “Anyone who may have been shut out in the past because we sold out will have an opportunity to attend in the larger facility. Watch the following video of Jeff Garcia speaking to the University of Saskatchewan Dogs at their annual breakfast in May 2012. Jeff talks about his humble beginnings, his rise above the many obstacles in his life, and his determination to rise up and become a great leader and player. 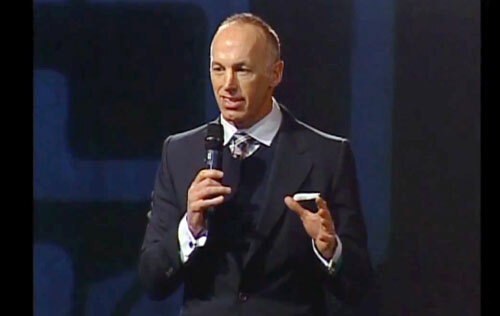 Jeff Garcia is a former NFL and Canadian football quarterback who is currently the quarterbacks coach for the Montreal Alouettes of the Canadian Football League. He made his debut in the NFL with the San Francisco 49ers making three Pro Bowl appearances in 2000, 2001, & 2002. He led the 49ers to the playoffs in 2001 and 2002. Sports Speakers 360 is a booking agent for pro athletes. If you would like to book Jeff Garcia for a speaking engagement, appearance or endorsement, contact Jeff Garcia’s booking agent for fees at 1.855.303.5450.